This decadent granola has a wonderful crunch from the toasted almonds and clusters of oats, pumpkin seeds and coconut; all bound together by agave. 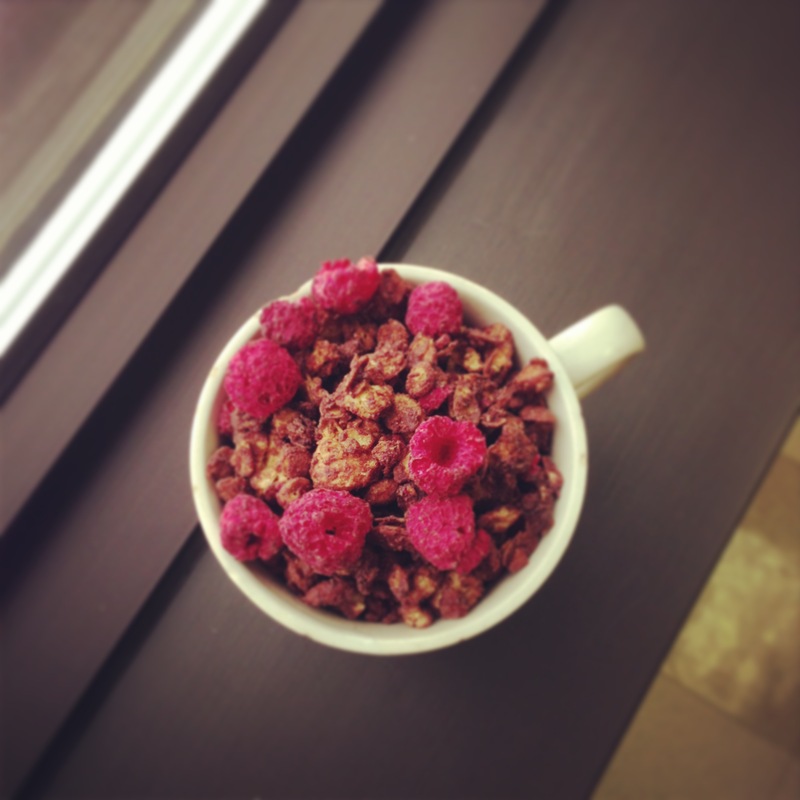 It’s only a little sweet, with just a bit of brightness from the dried raspberries. Place your oven rack to the middle position of your oven. Preheat your oven to 350F. Pour the light agave, oil and vanilla extract into your small mixing bowl. Whisk the ingredients together till well combined. Set aside. Pour the wet ingredients onto the dry. Fold the ingredients until they’re well coated. Pour the mixture onto your cookie sheet and spread it out evenly with the back of your spatula. Bake the granola for ten minutes. Remove the granola from the oven. Working quickly, add the granola back to the large mixing bowl. 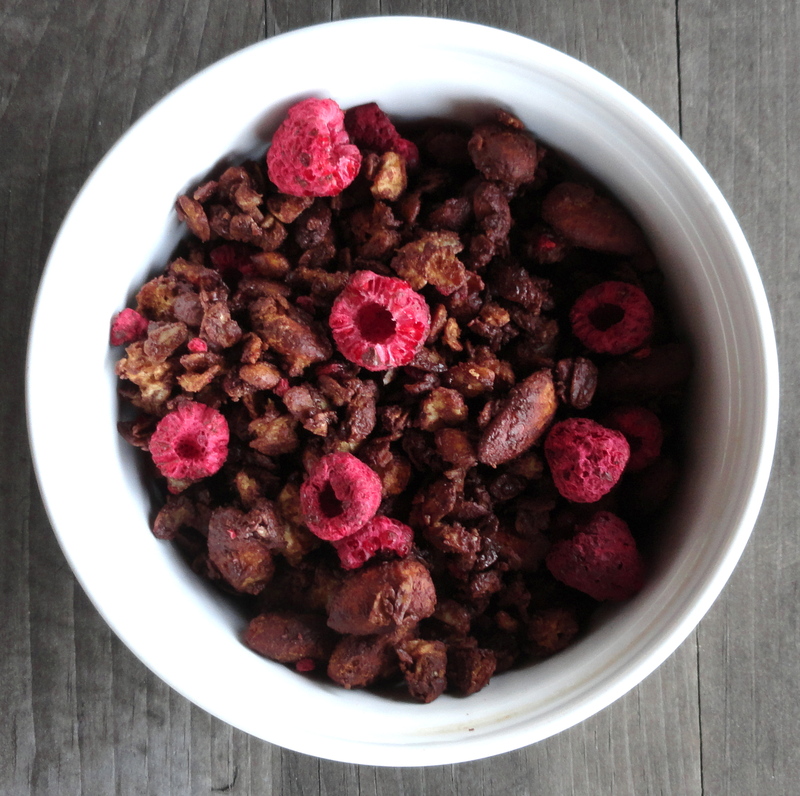 Add the mini chips and dried raspberries to the bowl, and fold them in so that the chocolate melts/coat the granola. Allow the granola to cool to room temperature (leave on parchment paper) prior to eating/storage.